Have you ever had a big dinner with extended family, perhaps at Thanksgiving when all the nice dishes are brought out of the cupboard, and discussion has turned to the history of the antique serving bowl being passed around? It’s the kind of hand-me-down that is accompanied by stories. In many families who have a tradition of growing their own food, they could have that discussion about what’s in the bowl as well. The edible antique in question will have come from heirloom seeds. The seed catalogs from companies who specialize in heirlooms are, to me, like a printed bit of Antiques Roadshow. When I flip open the lush cover of Baker Creek Heirloom Seeds’ “Pure Seed Book,” I feel like I’m delving into the musty shelves in the back corner of an old general store. When I peruse the offerings from Seed Savers Exchange, I feel the extra tug of preservation, knowing that everything sold there is being conserved by the membership-based SSE. Nearly 10 years ago, when I first sprouted the idea of writing about heirloom vegetables, I didn’t know many of the stories. I just knew they were in trouble. Throughout the 1990s I had been buying seeds from and making small annual donations to the Abundant Life Seed Foundation. Through their locally adapted seeds, which in the early days had been donated by home gardeners before being grown professionally on a larger scale, I had grown to love many of the reliable old vegetable varieties. But in August 2003, a catastrophic fire destroyed their offices and much of their seed collection. In the aftermath, searching for another source for many of those beloved seeds, I realized how few people and organizations were actually working to preserve heirloom seeds, and felt the loss more deeply. I wanted to help bring heirlooms to a broader audience, and do what I could to enhance what little remains of our vegetable heritage. That led to the publication of my 2009 book Edible Heirlooms: Heritage Vegetables for the Maritime Garden, in which I tell the stories of heirlooms commonly grown in our region, and offer my tips on how to cultivate them. In writing the book, I discovered that vegetables tell stories. 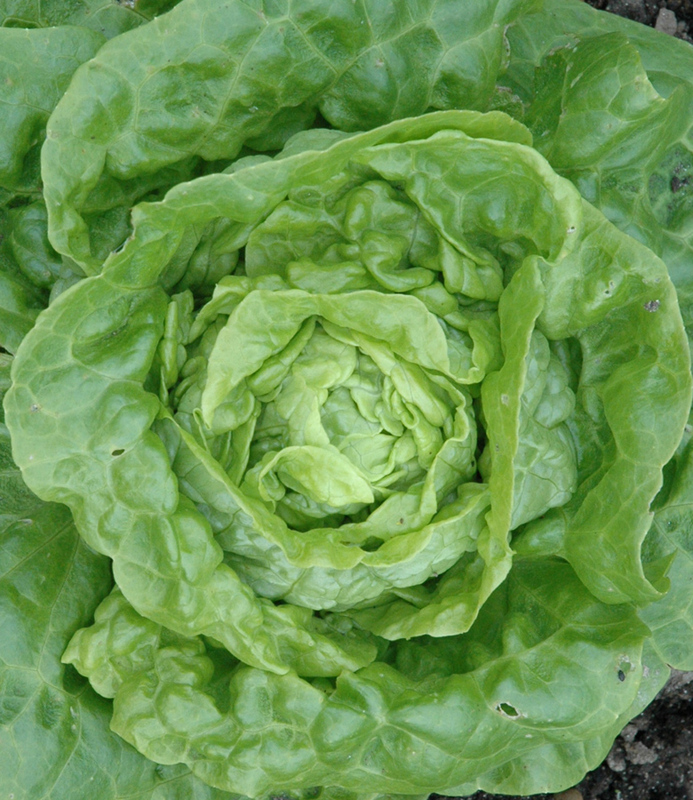 For instance, Tennisball Black-seeded Lettuce, a small butterhead perfect for a single-serving salad, was beloved by Thomas Jefferson, who wrote that it took less effort to grow in his Monticello garden than many other varieties. One year when I couldn’t find seed for that, I tried Tom Thumb, a crinkled-leaf variety that is very similar. It is an old English strain introduced to American gardeners in 1868. Tennisball Black-seeded lettuce, reportedly TJ’s favorite. Now when I stand on my garden path and look over the beds, history sprouts around me. I can thank an Italian immigrant’s mother for the amazing Jimmy Nardello Italian Sweet pepper, and the people of the Makah tribe for Anna Cheeka’s Ozette potato, and the Greeks who ended up in Portland, Oregon for the Greek Blue (today commonly called Spanish Roja) garlic. Not only does this food tell stories, but it’s alive with history and the very elemental source of our country’s heritage. It literally fueled the people who built the United Sates. So open up the offering from Baker Creek, the Missouri company who recently expanded to the West Coast, with a “Seed Bank” now selling heirlooms out of a former bank building in downtown Petaluma, California, and an annual Heirloom Exposition in nearby Santa Rosa. The catalog delivers lush close-up photos, sometimes bordering on the obsessive, of their many heirloom offerings. They are celebrating the form and beauty, nature’s artistry, that is too often lost when the supermarket produce stands are filled with bins of identical red tomatoes or stacks of one variety of the most marketable carrot. What about Amarillo, thick tapers in pale peach, or Cosmic Purple which, when sliced open, reveals a glow reminiscent of a summer sunset? I don’t yet know what the flavor of those carrots will be, but I would lay odds that they will taste as unique as they look. The Gettle family, who runs Baker Creek, seems to be on a mission to get me to try something new. I mean something old. Well, OK, old-new. It’s certainly a delightful discovery on every page. Seed Savers Exchange, whose catalog this year is coincidentally covered with a rainbow coalition of carrots, urges me to do something more than just grow my own. They want me to help them grow the movement. With the mandate of “Passing on our garden heritage,” this membership- and donation-fueled organization is having success in stemming the loss of old varieties that had happened for decades, and in some cases reclaiming what’s been lost. Their Moon & Stars watermelon is the bulbous green poster child. Tales had been told of the large melon with dark green skin and large and small yellow blotches. Typically each fruit would have one large blotch (the moon) and a field of small blotches (the stars). The SSE founders wrote about such lost treasures in an article, and a Missouri farmer reading it realized he had that variety, passed down through the family. From that one source, seed was saved, given away, propagated, and eventually reintroduced to a number of catalogs. It might not be one that everyone can grow in our maritime climate, but if you ever see Moon & Stars at a farmers market, give it a try. Its pale pink flesh is mildly sweet, extra juicy, and filled with lovely, spittable, black heirloom seeds. New in their catalog for 2013 are Black Cherry tomato, which should do great in our climate, and Three Heart lettuce, another small butterhead that intrigues me. This year I might try Sunset Runner, a runner bean with a salmon-pink flower, or I might stick with my favorite, Painted Lady, whose pink and white flowers were named after Queen Elizabeth I, whose subjects tagged her with that nickname when she appeared in public sporting a shocking new fashion for late-1500s England: makeup. Entry for Prickly Caterpillar in the Seed Savers Exchange catalog. Last year I tried Prickly Caterpillar from this catalog, and I need to give this another chance. It’s an unusual legume which produces pods that come out curled and spiky on a low-growing bed of greenery. We got yellow flowers out of a small plant last year, but no mature pods. They suggest you surprise your guests by putting the weird, edible pods in salads, which is the perfect reason to keep trying. The SSE catalog tells of its preservation actions – hand-pollinating dozens of varieties of squash, for instance—and urges people to join, donate and take action by growing and sharing heirloom seeds. I concur. On a hopeful note for the future of seed, I will end my long, multi-post treatise on seed catalogs. Our annual seed exchange and seed ordering party is always in January, and I can’t wait to share my catalog finds. Nearly a dozen of us will crowd around the dining room table, with our catalogs and seed boxes in front of us, and talk about vegetables we love, or ones we want to try. We’ll share what we have from previous years, and go through each catalog to find the varieties we want to grow this year. We’ll then place a collective order to each of our chosen catalogs, and when the seeds arrive, we’ll meet again to split them up. Often, four or five people will share one packet, giving us just enough seed to use in our gardens this year. That’s OK, we might want to try a different variety next year, which the thrifty group-buying effort makes as easy as pie.